It further developed two revisions, but it has now run it's course and expired last week, so for those who supported it or for anyone else vaguely interested I thought I'd share the instructions. There is also a Brickstore file - though there may be the odd brick missing from it as I had a terrible time getting files to export correctly. Thanks for sharing the instrcurtions. It's a great set and it's too bad that it didn't get through further. I think there is just too much stuff on there, so hopefully when Lego updates cusoo/ideas/... again they'll get round to it. I completely agree with snowhitie, an Ideas version would have been great. Thanks for posting the instructions though. Very professional-looking and fun too, excellent work! If you don't mind my asking, what software did you use to make the instructions? ^ I'm on a Mac, so the original digital build was done using Bricksmith. The build file is imported into Lpub to make the actual step by step instructions and then I export each page from that as a separate graphics file. I'm a graphic designer/photographer by trade, so I use Quark Xpress for my page layout. The compilation of the instruction steps, the PovRay renders, the photographs and typesetting are all done within that to produce the final PDF booklet. It took me ages! But at the time I needed something to occupy my mind so was well worth it. ^ Wow, that's a lot of work, but definitely evident in the results. Excellent work! I think I'm in love with Nigel. "Hover Scout pilot with years of experience including reconnaissance, search and rescue, and planet surveying. Mr Reliable." Thanks for sharing your most excellent work. Thank you very much for sharing this. It is generous of you to do so. The instructions are excellent. Hi @iso3200, would you mind if I built and published your model on Mecabricks? Of course, I would give you full credit for the design and will link to this thread in the description. ^I don't see why not. As long as it's obvious it's origins are via Brickset and the instructions are easily found then please go ahead. I don't think the printed circuit panel used on the Seismic Probe isn't a part available on Mecabricks though. @iso3200 OK, thanks! I will note any missing parts/decorations in the description as well (I haven't checked yet but I'm not sure if the specific minifig heads are on there either). Hmmm. That's a point. The brickstore file doesn't have the correct heads in it (not that it's a dealbreaker). I'll find the correct ones and add them to this thread with the wigs. ^As far as step 2 eh @ricecake? Bet that had you worried for the rest of it. You're a fast worker! Only obvious thing I can see is all the Green elements (except for the minifigs) should be Dark Green instead of Green. Other than that, pretty good with the substitutions :-) Could you recolour the greens at some stage? @iso3200 Done. I was looking up pieces from that BrickStock file, and what LEGO/Mecabricks call Dark Green, BrickStock/BrickLink call regular green, and so the darker green is what LEGO/Mecabricks call Earth Green. I also hope I got the right metallic silver/LBG distinctions correct. Also, Scrubs (the guy who runs Mecabricks) has already added the 4x8 half-circle brick and the jet engines, so I have updated those as well. I think the only substitutions now are the printed pieces! Excellent job that man :-) I did indeed notice you'd updated the jets already - though they are back to front. Funnily enough, I quite like the look of them that way. I'd be tempted to leave them like that, though it's possible in a real build they would snag the wing when they are in the *up* position though. I'll check my model here and report back. Big fan of this design and build! 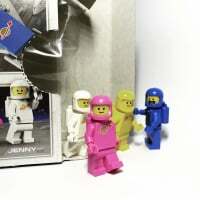 Wish Lego would realize the love for Classic Space that exists; and though a few items have arrived in recent years, I'd love to see a minifig with sticker/printed parts pack enter the market. This pdf will easily be constructed and added to my Classic Space collection. My respect for you, iso3200! Thats brilliant. Downloaded and off part hunting. Its going to go great with the Ideas ExoSuit. Thanks for making them available. If anyone does decide to build, feel free to leave any feedback here. Likewise, if you find any errors in the Brickstore file, please fire me a PM and I'll try and fix so people aren't hunting for bits that don't exist, or find they're a few parts short of a model. 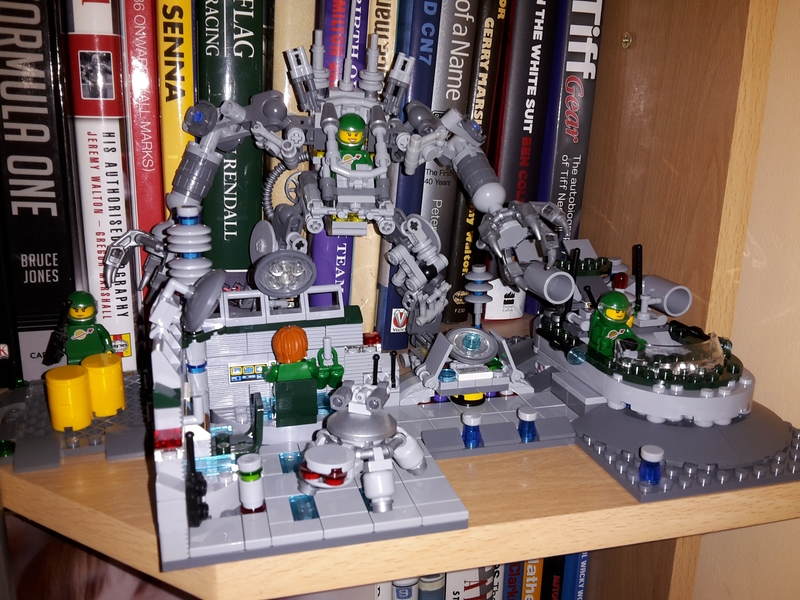 Spent last night going through piles of pieces in the LEGO room, found lots for the MOC, substituted a couple of printed pieces for ones I had that will work fine and BL the rest. Came to around £40 from 3 lots which wasn't bad. I probably could have gone a bit cheaper, but the postage would have killed it then. Fingers crossed it arrives soon and I can get building. Five LEGO deliveries today! Got all the bits laid out and spent about an hour and a half building it all up. I did find a few errors in the .bsx file though when importing to Bricklink. Couldn't see where these went? The piece of pipe between the data station and recharge dock doesn't appear in the kit list. However, its looks amazing, really fits in well with the Exo-Suit and with a little realigning of the station and dock by 4 studs, fits on the gap on my shelf just perfectly. Thanks so mush @iso3200 for making the instructions available. There's no purple in the set at all. Looks like something has not ported across correctly - the purple elements should be metallic silver - but they look fine as those feet I think anyway. I did have a tough time with brickstore, and for some reason I can't seem to update the Bricklink catalogue or see any images. I'm not sure if this is due to Brickinks revamp or some other reason. Anyway, I will try and address the issue in the next day or so and correct. The piece of pipe I can't add to the brickstore file. 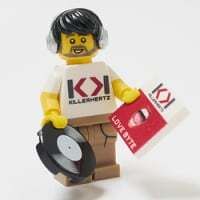 I might have to redo as a Bricklink XML file. As you're the first builder, PM me your address and I'll send you one of my spares. message sent, cheers for that.